After the death of her mother, and witnessing the devastating effects of modern medical treatments for cancer, Andrea Beaman knew there had to be an alternative way to heal the body without destroying it in the process. Andrea put that theory to the test when she was diagnosed with a debilitating thyroid disease. She altered her nutrient poor diet and used natural methods that promoted her health. With time and persistence she reclaimed her health and fully recovered without having to resort to a lifetime of costly prescription drugs. Andrea shares her inspirational story following the eye-opening journey of her travels from chronic sickness to vibrant health! Andrea Beaman is a Natural Foods Chef, author, and television host dedicated to alternative healing and green, sustainable living. 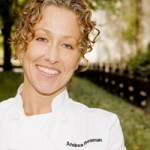 Andrea was a featured contestant on Bravo’s hit reality TV show, “Top Chef” (seasons 1 and 5). She is the food and health expert on CBS News, and has appeared on Barbara Walters, “The View”. She is the host of the Award Nominated “Fed UP!” a cooking show that teaches viewers how to cook for, and cure, their bodily ailments. She maintains www.AndreaBeaman.com her personal website that offers recipes, monthly topics, food tips, holistic health counseling and other health-related information. 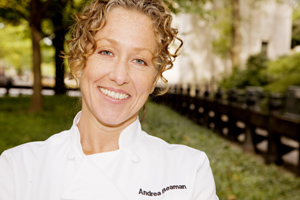 Andrea teaches classes at The Institute For Integrative Nutrition, the Natural Gourmet Cooking School, ICE, James Beard House and other schools to over 2000 students annually. Her high energy and fun cooking classes and health seminars reach a wide base of clients and students. Andrea is featured in the “Top Chef Cookbook”, “Escape From Corporate America”, and the “Integrative Nutrition Case Histories books”. She has contributed articles to Women’s Health Magazine, Forbes Traveler, Dish Du Jour, Physician Assistant Magazine, Quick & Simple, Delicious Magazine, Nick Jr. Magazine, Energy Times, Delicious Living, and many others. Andrea is the author of “The Whole Truth – How I Naturally Reclaimed My Health, and You Can Too!” and “”The Eating and Recipe Guide – Better Food, Better Health. Her third book “Health is Wealth – In Tough Financial Times The Best Investment is in Yourself” is on the way. She makes learning about health, food, and positive lifestyle activities, a joy for everyone!